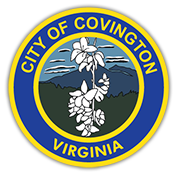 The City of Covington, VA owns and maintains Cedar Hill Cemetery located on S. Carpenter Drive. Mr. Russell Carson is the Sexton at the cemetery. Many servicemen are buried in Cedar Hill, veterans of the Civil War, Confederate, World War I, World War II, Korean War, Vietnam War, Korea and Spanish American. The remains of many prominent leaders of Covington and Alleghany County are also buried at Cedar Hill. A listing of the Cedar Hill Cemetery Grave Interment (Excel) record can be accessed for your review, download, and information. (The information contained herein is accurate based on City of Covington opening/closing grave records but does not contain an entry for every burial at Cedar Hill and the former Cedar Grove Cemeteries.) Names of those buried in the cemetery prior to 1950 can be identified in the Genealogical Index (pdf) ; locate your family member in the index and then contact either Jane Tucker or Russell Carson for additional information specific to your request. The cemetery department is responsible for mowing, weed eating, digging foundations for stones, burials, seeding, etc. Cedar Hill accepts both above ground and flat markers and has recently acquired additional land. Total land area is approximately 60 acres. The Sexton is Mr. Russell Carson. To contact Mr. Carson at Cedar Hill Cemetery: (540) 965-6383. For more information, contact Lisa Worley at lworley@covington.va.us or (540) 965-6360.